Sometimes muddy, but never boring, Lake Evelyn is an easy way to beat the summer heat! 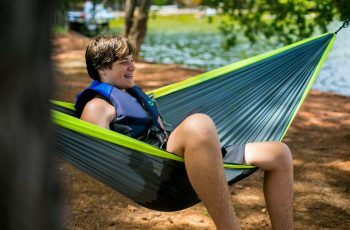 Packed with bouncy inflatables, a 100 foot zipline, and a Wet Willie water slide, campers will have the opportunity to splash, zip, and fish their way through the lake during designated activity periods and H2Cho Mania! Named after its iconic four-story lighthouse, Cho-Yeh's lakefront property features over 1200 feet of scenic shoreline and sandy beaches! 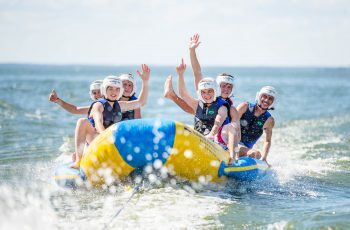 Kick back in a hammock, kayak across the waterfront, or dodge the waves on a Cho-Yeh banana boat. 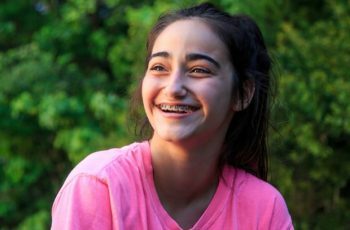 With a wide variety of activities and an unbeatable sunset view, Lighthouse Point is sure to have something for everyone! 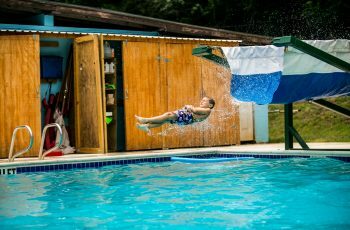 The Aquatics Center is a staple of the Cho-Yeh summer experience! 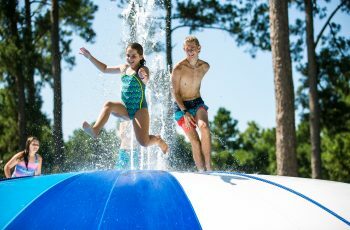 Our pool features multiple depths for all swimming levels, and a Wet Willie waterslide that makes beating the Texas heat a blast! 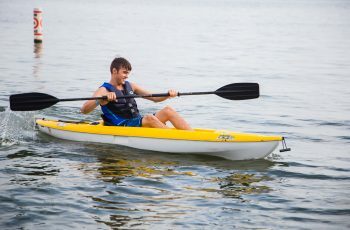 They're as much fun to paddle as they are to pronounce! 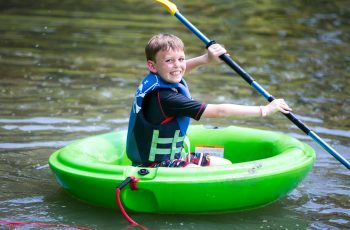 These tiny kayaks are designed with younger campers in mind, and make exploring Lake Evelyn a fun and relaxing experience! Ever wanted to climb your way to the top of a giant, slippery trampoline? Cho-Yeh's here to help! Surrounded by a shallow mini pool, the Wet Bubble lets you pull yourself to the top and bounce your way back down with a splash! 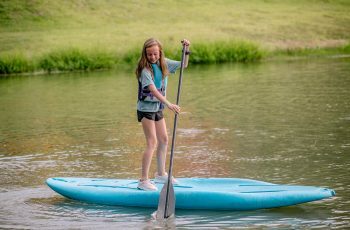 Test your balance against an opponent in this challenging lake activity! Do your best to stay upright on a spinning inflatable log - and don't worry if you fall, you won't be the first! Hold on tight! 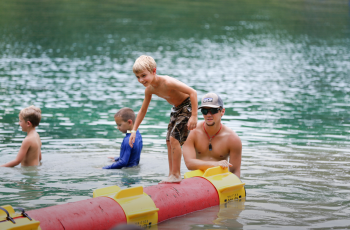 This aquatic Zipline runs across Lake Evelyn, and always ends in a splash. 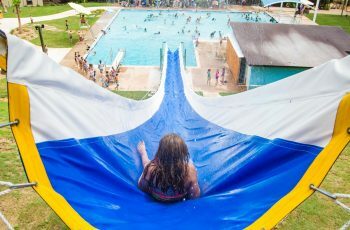 See how long you can hold on before you hit the water! 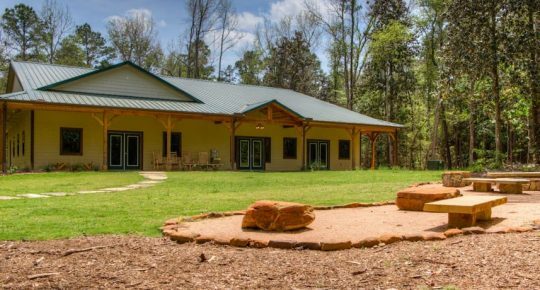 Test your fishing skills against the Cho-Yeh waters, home to a variety of catfish, bass, and bluegill! 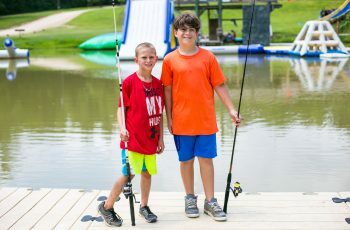 Both our lake locations offer a unique and fun fishing experience for any skill level - we'll bring the bait, you bring your A-game! 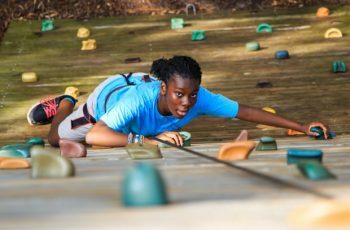 With 2 levels and 44 elements, this unique high ropes course is a challenge for any skill level! 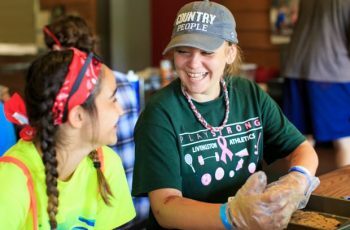 Improve your balance and team communication as our certified ropes staff facilitate the experience, making sure everyone stays safe and has a blast! 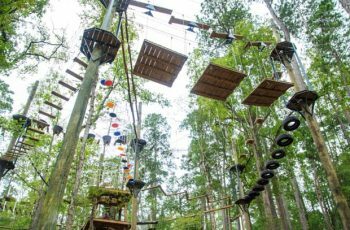 Pull yourself to new heights and conquer your fears on our 45-foot climbing tower, or get a quick adrenaline rush on the Cho-Yeh Zip Line! 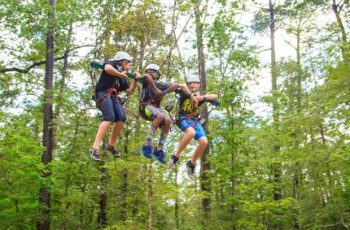 Certified instructors will be available to show you the ropes and make sure everyone stays safe! 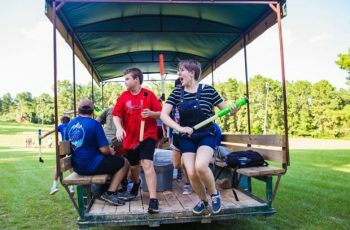 Campers will harness up on this giant swing and be lifted high above the ground, where they'll choose exactly when they want to drop. Once the release is pulled, a thrilling ride is guaranteed - it's called the Screamer for a reason! 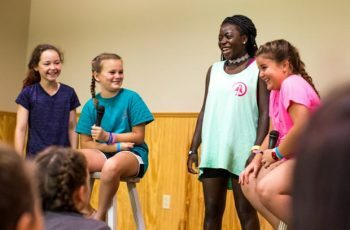 Ready to set a new camp record? 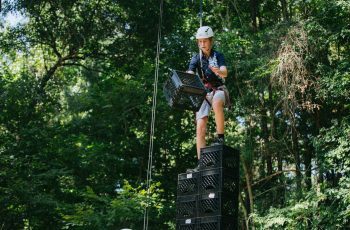 Harness up and see how many crates you can stack while you're standing on top - just don't lose your balance, or your tower of crates will come tumbling down beneath you! 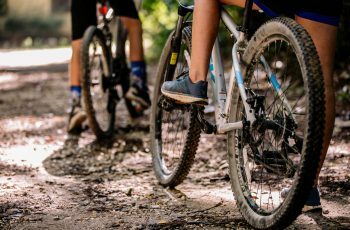 Hop aboard a Cho-Yeh mountain bike and enjoy some of the best trails Livingston has to offer! 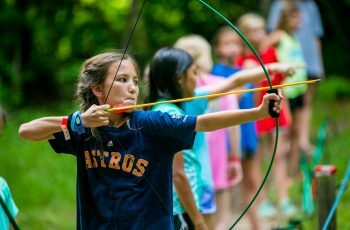 Campers will improve their balance and learn basic mountain biking skills on this adventurous tour of the pine forests! Want to learn how to start a fire with a piece of glass? We'll show you how! 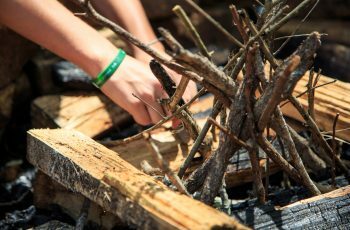 During this activity, campers will gain basic survival and fire building skills as they learn to kindle and ignite a flame with the natural tools available! 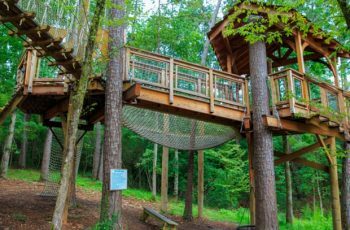 Built by Pete Nelson's Treehouse Masters, this lofty treehouse offers an incredible aerial view of camp! 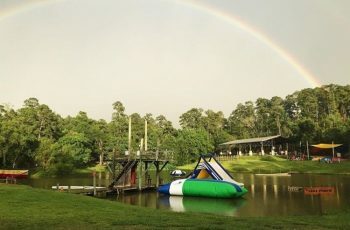 Campers have the opportunity to climb, slide, and relax among the Texas pines, making this a unique place to meet new friends or enjoy a quick snack. 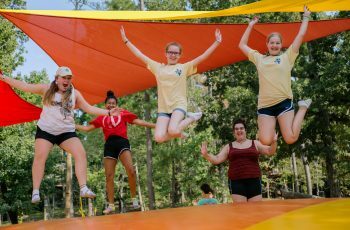 Let's be honest - who doesn't love jumping on a giant inflatable pillow? This iconic activity has been a staple at Cho-Yeh for years, and always makes for a great spot to hang out and see who can land the highest double bounce! 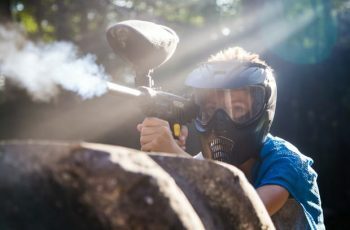 Grab your team and light 'em up on our epic paintball course! Your instructor will teach you basic safety and strategy, but it's up to your team to work together, fight hard, and make victory yours! 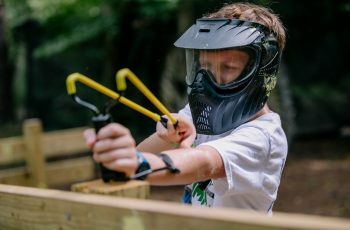 NOTE: Paintballs are not dangerous, but will most likely leave bruises or welts when hit. Long sleeves and pants are recommended for this activity. 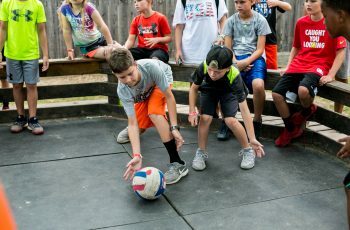 For older campers seeking a challenge, this Demolition style game mode is a must! Move quickly through the forest to secure the objective, defuse the "bomb," and return it to your base while battling your way past the opposition! 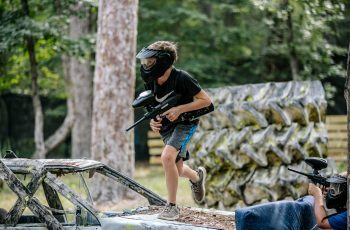 Bring your tactical A-game and be prepared for a challenge! 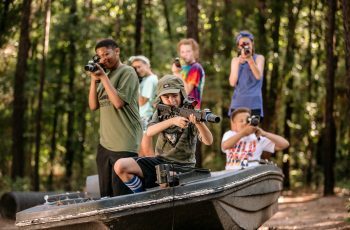 For campers who want a fun (and less painful) alternative to paintball, our state-of-the-art laser tag system allows for a variety of exciting game modes! 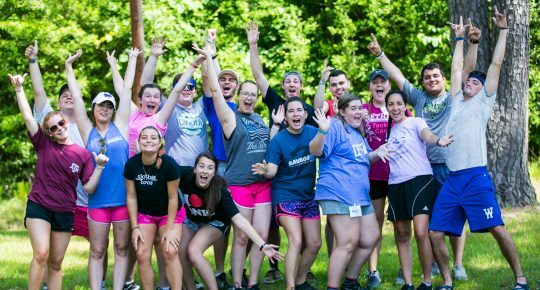 Work together with your team to eliminate the opposition on our specially built course! 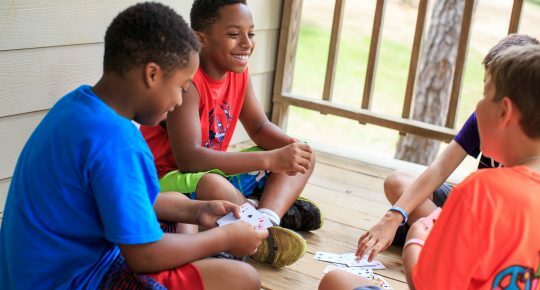 This classic activity is as old as camp itself! 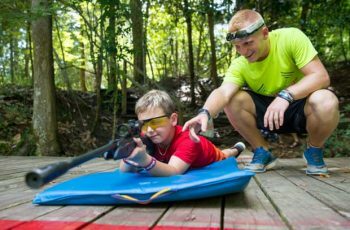 Step onto our range and learn proper marksmanship from a seasoned instructor, then put your skills to the test! Move fast and dodge quickly in this fast-paced game of elimination! 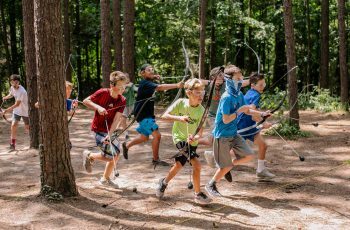 Grab your team and work together as you fire rubber-tipped arrows at the opposition in a variety of exciting game modes! 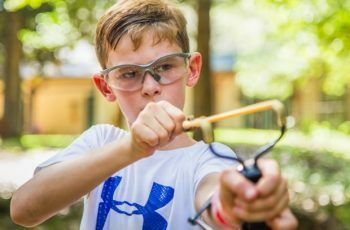 Cho-Yeh's classic air rifle range offers a unique opportunity for younger campers to test their marksmanship skills! 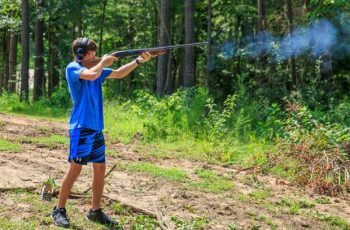 This exciting outdoor activity is a fun and safe challenge for any skill level, and offers a stepping stone for campers looking to learn firearm safety for the first time. Everyone's favorite gym-class sport, Cho-Yeh style! 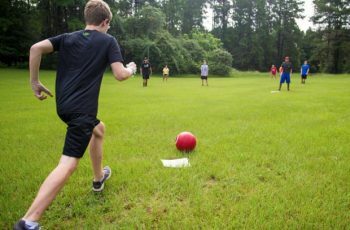 Kick your pitching and catching skills into gear as you work together with your team to bring home the win! Easy to pick up and fun to play, this fast-paced sport combines tennis and badminton for a unique challenge! No pickles are harmed during the playing of this sport. 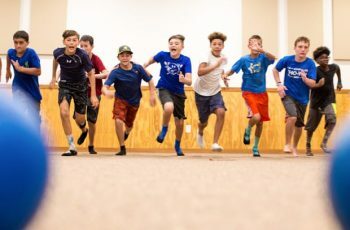 Truly the sport that never ends, your chances of spotting this game being played on camp are always high. 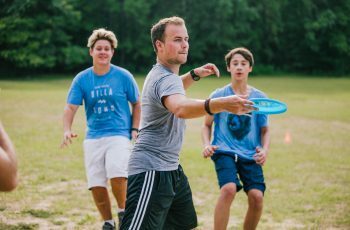 It's like dodgeball meets... well... you just have to play it! 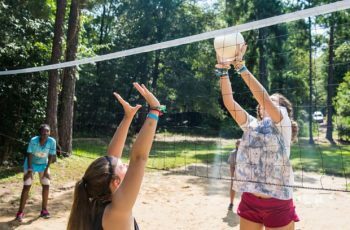 Our beach volleyball court is perfect for an action-packed competition, or a friendly game of Nuke 'Em. 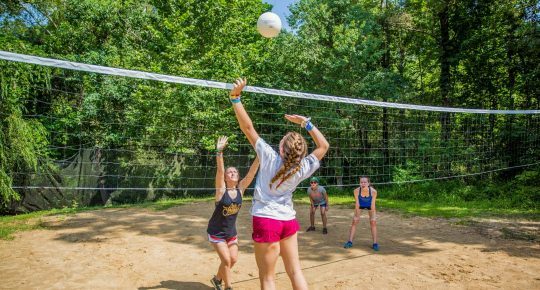 No matter your speed, our court is a great spot to meet new friends and practice your spike! 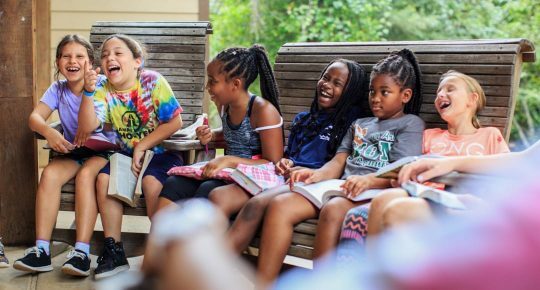 There's no argument here - this activity is the sweetest! Learn a new recipe alongside your friends as you prep, bake, and EAT your culinary masterpiece! 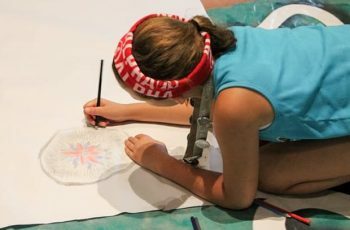 Kick your creative side into high gear as you draw, craft, and tie-dye alongside your friends! 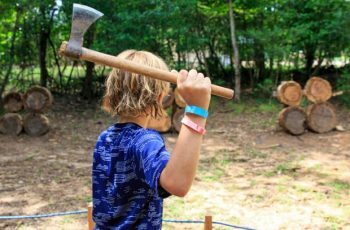 With plenty of creative stations and activities available, the only limit is your imagination! Did somebody say dance off? 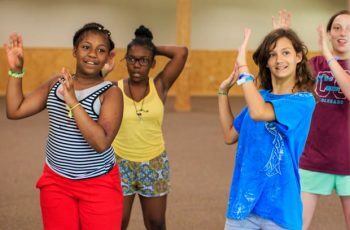 Learn a new line dance, show off your best moves, and enjoy your favorite songs as you let loose and have fun! Some Cho-Ga positions are real, most are made up, and the rest are straight up goofy! 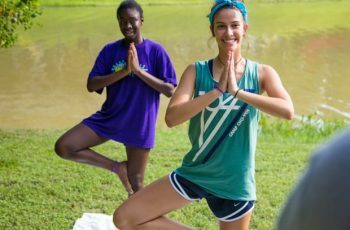 Grab your friends and a yoga mat, and show us what you've got! How quick are you on your feet? Participate in a variety of fun and hilarious games to bring out your inner comedian - laughter guaranteed!